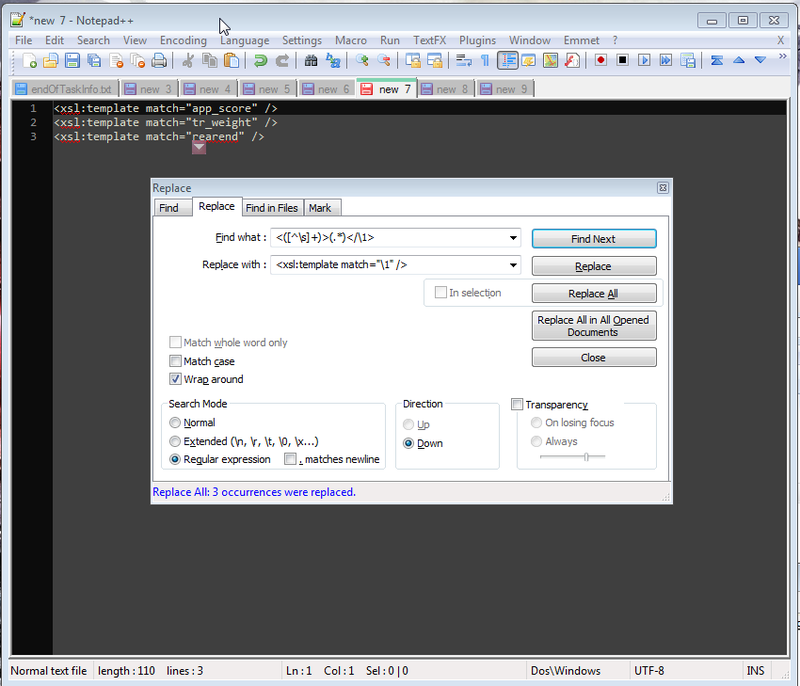 It seems like I'm always trying to remember how to use a regex match in the replaced text in Notepad++ so this time I'm writing it down. You can see the match attribute comes from the element name so here is how you can do that. There are a couple cool things to note here. First, we actually are matching two groups: inside the element([^\s]+) and the element's text(.*). Second, we're using the first match for the closing tag(</\1>). 2) Now we know how the matching works it's easy to insert the match into our replace text, like so: <xsl:template match="\1" /> where the \1 is the first matching group. We could just as easily use the \2 for the second matching group.